The model comes with an 18-karat gold case, designed to be "twice as hard as standard gold." It also utilizes a sapphire crystal display, and can be outfitted with either a leather or sport wristband. 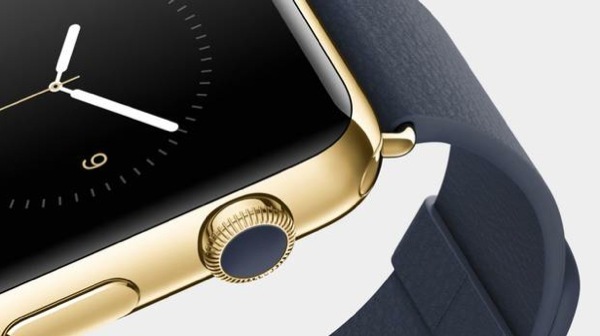 Technology giant Apple (NASDAQ:AAPL) may soon buy up one third of the world’s gold in order to meet the demands of its highly anticipated Apple Watch, according to reports. Interest in the high-end model, featuring 18-karat gold casing, is picking up and the firm is already taking the necessary steps to have enough of them in stock. According to WSJ.com, Apple plans to start producing more than one million units per month in the second quarter of the year, anticipating high demand from Asian markets, mainly China. 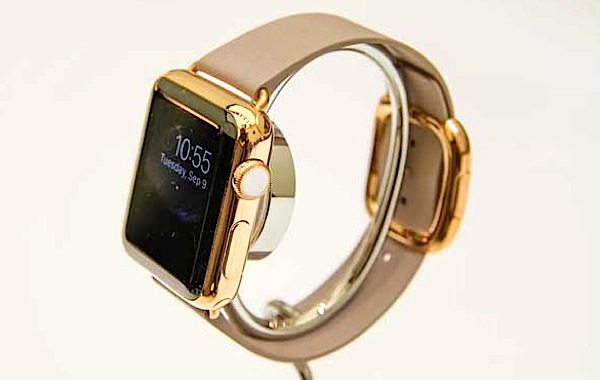 This Apple Watch could cost as much as 10 iPads. Josh Centers, from TidBits, estimates that each gold watch will contain 2 troy ounces (62.2 grams) of gold. So, based on the estimated sales figure, he concludes that Apple will need 746 tons of gold a year, or about 30% of the world’s annual production. His estimations — admittedly based on the Wall Street Journal predictions, not official figures — would mean that Apple may soon become a major player in the world’s luxury watch market, grabbing about half of it.